We listened to it twice and probably will listen to it in the future. 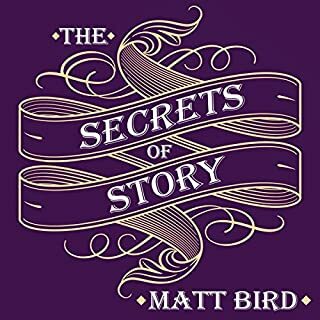 If you like history, if you're curious about the origins of the culinary art, if you like to hear entertaining anecdotes about history and food, if you're curious about what they ate in Sumeria, Rome and France ...YOU FOUND YOUR BOOK. We enjoyed it like a gourmet dish. Thank you professor! Sorry, this book is so complete and simple at the same time so thorough I would have to write all morning. You will be happy to have discovered it. This book contains proven steps and strategies on how to eat, live, and have a gorgeous body just like a Greek deity. You will learn what the 10 best-kept Ikarian secrets are. These secrets will not just tell you what to eat and what not to eat. You will discover how to prepare food and embrace the right attitude toward food and toward life. After listening to this book, you will definitely be able to live life to the fullest. Don't miss your chance. This book will change your life. 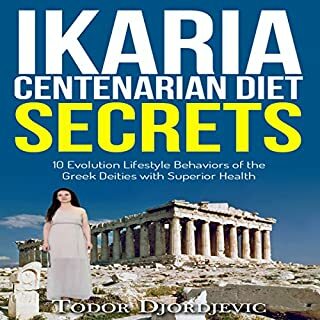 What disappointed you about Ikaria Centenarian Diet Secrets? The impression it gives is that the the author didn't research seriously or bother to travel there. Mostly are bland common sense advices and some are not even current with finds. What was most disappointing about Todor Djordjevic’s story? Seems to me that the author's main goal was to make some bucks on something of general interest, not give a good service for his reward. It was ok. That's not my problem with the book. If you could play editor, what scene or scenes would you have cut from Ikaria Centenarian Diet Secrets? I would cut everything and start anew. A person that is not interested in knowing origins of words, but a very theoretical account of language history. I love to read authors that tells you little stories of how a word was created and developed, and this was not it. 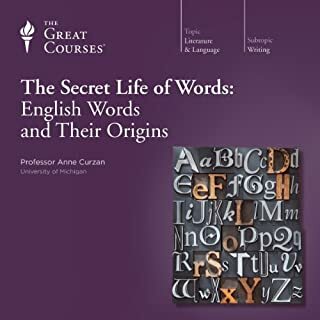 Has The Secret Life of Words: English Words and Their Origins turned you off from other books in this genre? 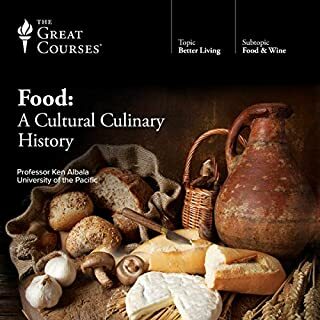 I have to tell you that although I love other titles this is the second Great Courses that I cannot listen to the end and find myself thinking I wasted my money. Her voice is ok, the material was boring. Intense disappointment. I read all Isaac Asimov history books and since then I'm fascinated by the little anecdotes about words, their origins and development. I was very happy to be able to dig more into it and found the rug taken out under my feet.